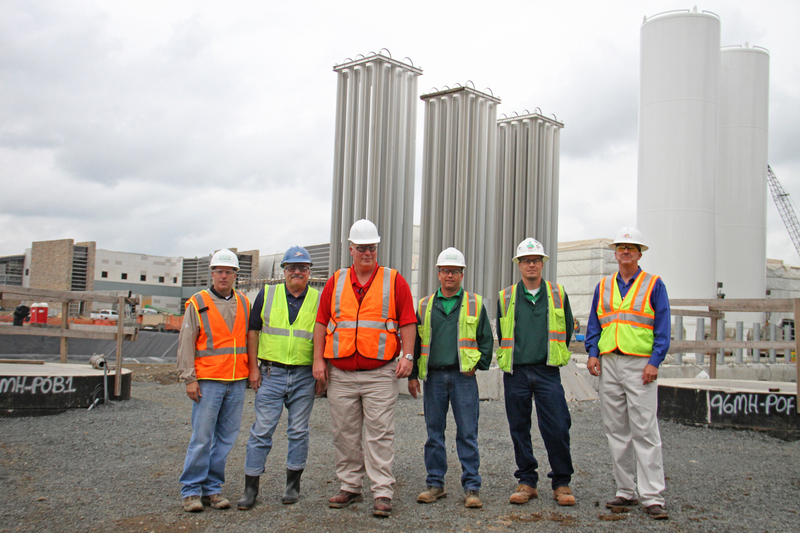 A group of Singleton Electric's team onsite. Singleton Electric, an Electrical Alliance contractor, ran 100 miles of wire as part of its effort to power the new Trap Rock Water Treatment Facility in Loudoun County, VA. To meet the current and future demands of the region’s growing population, the state-of-the-art facility was designed to be expandable and the processes scalable. Achieving this goal required the contractor to install 650,000 feet of conduit, 9 motor control centers and 200,000 feet of fiber. Singleton’s work on the project was awarded a prestigious Craftsmanship Award for Power Distribution and Special Systems by the Washington Building Congress.